Christopher Mark "Chris" Robinson (born December 20, 1966) is the singer of the rock and roll band The Black Crowes and brother of its guitarist Rich Robinson. In the fall of 2010, www.chrisrobinsonband.com appeared, fueling speculation that this would be Chris' new project with the advent of the Crowes' hiatus. This was confirmed at the final date of the Say Goodnight to the Bad Guys Tour in San Francisco, when stickers advertising the band and the website were passed out promoting April 2011. Eventually, the project was titled the Chris Robinson Brotherhood (CRB), and a two months California tour was launched on March 29, 2011 at Soho in Santa Barbara, California. 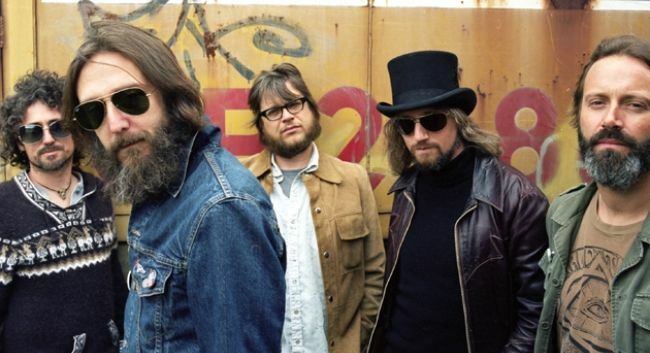 The Chris Robinson Brotherhood lineup includes Adam MacDougall (of the Black Crowes) on keyboards, George Sluppick on drums, Mark "Muddy" Dutton (of Burning Tree) on bass, and Neal Casal on guitar. Casal replaced Jonathan Wilson, who was initially announced as a member of the band, but left shortly after. CRB went into Sunset Studios to record an album in January 2012. Their first album, Big Moon Ritual, was released on June 5th, 2012, with the companion album The Magic Door due to be released on September 11, 2012. CRB also released a 7" of "Blue Suede Shoes" b/w a live version "Girl, I Love You" for Record Store Day on April 21, 2012.